PayPal Debit Card vs. PayPal Credit Card – What's the Difference? Home » Credit Card Reviews » PayPal Debit Card vs. PayPal Credit Card – What’s the Difference? PayPal Debit Card vs. PayPal Credit Card – What’s the Difference? This article was last updated Dec 06, 2018, but some terms and conditions may have changed or are no longer available. For the most accurate and up to date information please consult the terms and conditions found on the issuer website. PayPal offers both debit and credit card products that can allow cardholders to easily access their PayPal balance. Depending on your needs, the PayPal card that’s best for you varies. If you’re looking to earn rewards, you should consider one of the two credit cards. But if you don’t want a credit card and prefer a basic payment option, consider a PayPal debit or prepaid card. In this review, we’ll discuss the various debit and credit cards provided by PayPal so you can decide which card is best for your needs. PayPal offers two credit cards — the PayPal Cashback Mastercard® and the PayPal Extras Mastercard® — for PayPal account holders who want to earn rewards on their purchases and build credit. You do need a PayPal account to open these cards, but don’t worry if you don’t have one — you can simply open an account prior to applying for a card. We’ll discuss the two cards below and offer our recommendations on which is card is more fitting for you. The PayPal Cashback Mastercard® offers cardholders the ability to earn 2% cash back on every purchase. That means no matter what type of purchases you make, you’ll earn the same amount of cash back. This is the standard flat-cashback rate we recommend for everyday purchases and is in line with more mainstream cashback credit cards from the big banks. If you’re looking for a flat-rate cashback card, the PayPal Cashback Mastercard® is a great $0 annual fee option providing a solid 2% cash back on every purchase. Existing PayPal account holders will find it convenient that cash rewards are redeemed to your PayPal account balance. This minimizes the rewards accounts you have to manage because if you used a non-PayPal card, you would have your PayPal rewards account and your credit card rewards account. The PayPal Extras Mastercard® is a $0 annual fee rewards card tailored to foodies and frequent drivers — 3 points per $1 spent on gas and restaurant purchases, 2 points per $1 spent on PayPal and eBay purchases, and 1 point per $1 spent on other purchases. This is a good rewards rate for gas and dining purchases considering other cards in those categories typically max out at 4% or 4 points per dollar. You can redeem points in a variety of ways, including cash back, gift cards (for gas, restaurants, etc. ), travel vouchers and more. If you find yourself dining out often or constantly fueling up at the pump, the PayPal Extras Mastercard® offers a good rewards rate on your purchases. Cardholders earn 3 points per $1 spent on gas and restaurant purchases, 2 points per $1 spent on PayPal and eBay purchases, and 1 point per $1 spent on other purchases. This card can allow you to accrue rewards faster in the restaurant and gas categories compared with using the PayPal Cashback Mastercard® mentioned earlier. PayPal’s debit card, the PayPal Cash Mastercard®, is conveniently linked to your PayPal account, allowing you to withdraw money from your balance as needed. Since this is a debit card, no credit check is required. That means whether you have no credit, excellent credit or anywhere in between, it doesn’t matter. The PayPal Cash Mastercard® has a $0 annual fee and no monthly fee, so it costs you nothing to open this card. And, there is no minimum balance required for this card — that’s compared with some other debit cards that may require you to maintain a certain balance or meet other requirements to keep your account free. So, if you don’t want to deal with requirements in order to keep your account fee-free, the PayPal Cash Mastercard® is a simple $0 annual fee debit card. If you have a PayPal account and are looking for a debit card that provides easy access to those funds, the PayPal Cash Mastercard® is a good option. Your card is linked directly to your PayPal balance, so you can easily use money in your account to shop online and in stores as well as make cash withdrawals at ATMs. 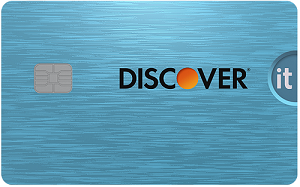 This card is especially good for people who want a no-fee debit card with none of the daily balance requirements you may find with other debit cards. Fees accurate as of the date of publishing. Direct deposit: You can set up direct deposit with your employer or government benefits provider. Cash a check: You can snap a photo of your check and easily deposit using the PayPal app on your smartphone. Cash loads: At one of 20,000 CVS, 7-Eleven or Rite Aid locations nationwide, you can scan a barcode on your PayPal app to add cash to your card. Learn more here. Bank transfer: Simply transfer money from your bank account to your PayPal account. The PayPal Prepaid Mastercard® is a decent prepaid card that links to your PayPal account and allows you to access your PayPal balance. There is no fee to purchase this card online via PayPal, but if you purchase a card at a retail location, there is a fee up to $4.95. There is also a $4.95 monthly plan fee, billed on the same day every calendar month, to consider before opening this card. There are some prepaid cards that don’t have monthly fees such as the Bluebird by American Express*, or waive the monthly fee like the Chase Liquid®*, which waives the $4.95 monthly fee if you have an eligible Chase checking account. These cards can save you an effective $59.40 annual fee ($4.95 monthly plan fee x 12 months) compared with the PayPal Prepaid Mastercard®. *The information related to the Chase Liquid® and the Bluebird by American Express has been collected by CompareCards and has not been reviewed or provided by the issuer of this card prior to publication. If you want to avoid maxing out a credit card or overdrawing your bank account, the PayPal Prepaid Mastercard® is the best PayPal card for your needs. You can only spend money you have loaded onto your card, so if you try to make a transaction for $100 but you only have $50 on your card, it will be declined. This is especially helpful if you have a history of overdrawing accounts. This card can be conveniently used for all your purchases wherever debit Mastercards are accepted. While this card is convenient for frequent PayPal users, you can still do better with a Bluebird by American Express annual fee prepaid card like the Bluebird by American Express. PayPal Balance Transfers: Transfer money from your PayPal account to your PayPal Prepaid Mastercard® account. NetSpend Reload Network: Use one of more than 130,000 Netspend Reload locations to add money to your PayPal Prepaid Mastercard®. Find locations here. Tax Refunds: You can have your tax refund deposited directly to your PayPal Prepaid Mastercard® account. If you’re looking for an alternative credit card that doesn’t require a PayPal account, we recommend the Citi® Double Cash Card – 18 month BT offer. While PayPal offers two cashback cards, they don’t have as many benefits as the Citi® Double Cash Card – 18 month BT offer. Cardholders earn 2% cash back on purchases: 1% when you buy plus 1% as you pay, which ultimately ends up as 2% cash back after purchases are paid. This is similar to the PayPal Cashback Mastercard®’s 2% cash back on every purchase. However, the Citi® Double Cash Card – 18 month BT offer provides cardholders more benefits than the PayPal Cashback Mastercard® with a fantastic intro 0% for 18 months on balance transfers* (after, 14.74% - 24.74%* (Variable) APR). If you have a balance on an existing, non-Citi card, you can transfer it to the Citi® Double Cash Card – 18 month BT offer and save money on interest payments during the intro period. Another area where the Citi® Double Cash Card – 18 month BT offer shines is its new cardmember offer where cardholders can also no bonus. The PayPal credit cards currently don’t have any new cardmember offers. In addition, there is the potentially money-saving Citi® Price Rewind feature that may save you up to $200 an item with a maximum of $1,000 per calendar year. When you register eligible items on Citi® Price Rewind, Citi will search for a lower price within 60 days from purchase date. If a lower price is found, you may receive the difference between the price you paid and the lower price found. Note, you also have the option to submit a request if you find a lower price on an online retail site or in a printed or online newspaper, magazine, store circular or catalog. This can add up to great savings on top of what you already earn from the cashback program.